PRAYER PROMPT ••• Good morning, Friends! I love it when my Bible reading takes me to a favorite verse, James 5:16b. Try to hear that in a Sam Elliot or Morgan Freeman voice! In this case, I think The Message gets down to the core truth the fastest. None of us are good. Romans 3:23 reminds us we’ve all fallen short of God’s glory. He is good; we are sinners. But if we are living for Christ, and walking in His word, letting the Holy Spirit guide us – Friends, our prayers have power. I just read Max Lucado’s new book as a part of Proverbs 31’s current Online Bible Study. It’s called, “Anxious for Nothing,” and he wrote about Daniel’s visit from an angel. Short version (because I want you to read it), in Daniel 10, the angel Gideon visited Daniel who had been praying for weeks. The story continues with details of spiritual warfare, but the key takeaway is that Daniel, as a servant of God, prayed believing, and is the poster child for James 5:16b! The power of prayer is real, y’all! It cannot be underestimated, but we have to pray with confidence in our Lord! Pray believing and we will be a force to be reckoned with! 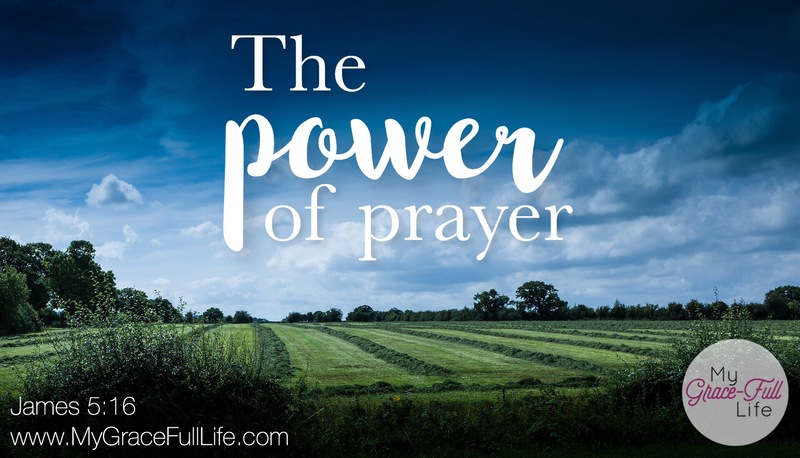 Satan is shaking with anger over this truth because he knows the power of prayer too! That’s why he works so hard to shake our confidence and distract us and discourage us. He knows that to the ones who walk with God, prayer is a weapon he can’t contend with. Today, as you pray, thank God for the power of prayer. Thank Him for hearing you and setting in motion the plans to answer you! So thankful for the privilege of prayer! Love your post. You nailed it.